It's a seller's market. Inventory is at record lows, demand is high, but lately it just seems like sellers are getting ridiculous with their lack of effort. 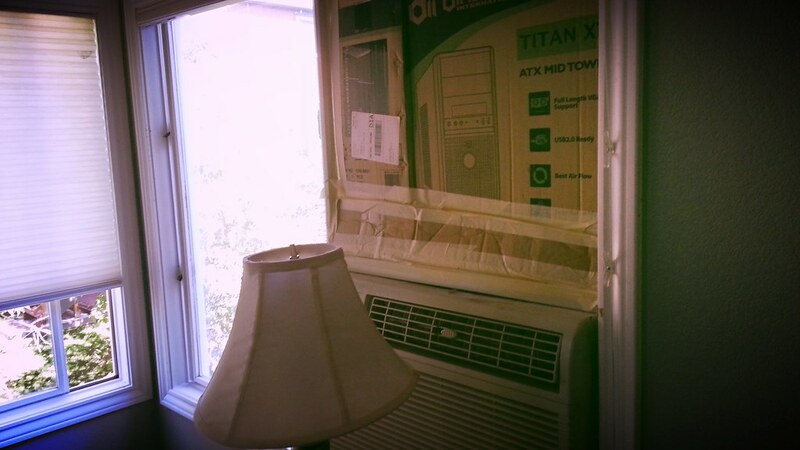 Check out this master bedroom air conditioning installation. This was the icing on top of worn out floors, cracked windows, and lots of signs of deferred maintenance. How do you think my buyers reacted? With laughter and disgust. "HOW much do they want for this house?" they said. Let me add one more thing. The house is listed as having central A/C. Think about it. I hope the listing agent obsessed over the comps.